Jesus was a messenger, a prophet, a saint and a friend of God. As he guided disciples and did so with the authority given to him by God he as also a murshid. Both westerners as well as easterners can approach the Divine Knowledge (Gnosis) by means of Jesus. Some Sufis (Muslim Mystics) are called Isawi. Isa is the Arabic (and Aramaic) name of Jesus, so Isawi means that those Sufis with a spiritual connection with Jesus. Others are e.g. Musawi, implying a link with Moses, etc.. In the days after Muhammad (upon him be peace) all these connections go by means of him. Shaykh Ibn al-'Arabi claims that his conversion (tawba) took place between the hand of Jesus, his first master. He said about Jesus: "He has prayed for me in order that I might persist in the religion... and has called me his beloved. He ordered me to practise zuhd (renunciation) and tajrid (the stripping away of all that is unnecessary)". So Jesus was his first murshid, but of course he was not physically present to him. When he was accepted into Sufism by his first murshid whom he met in the flesh in Spain, this murshid was an Isawi Sufi. Note: Murhid is an Arabic/Sufi term which is used to call the teacher or spiritual guide or master. It is equivalent to Rabbi (meaning teacher, 'great one' in literal meaning) in Jewish tradition. 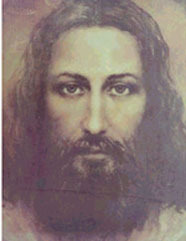 Many of the disciple and companions of Jesus Christ used to call him Rabbi or Rabboni (the great master).